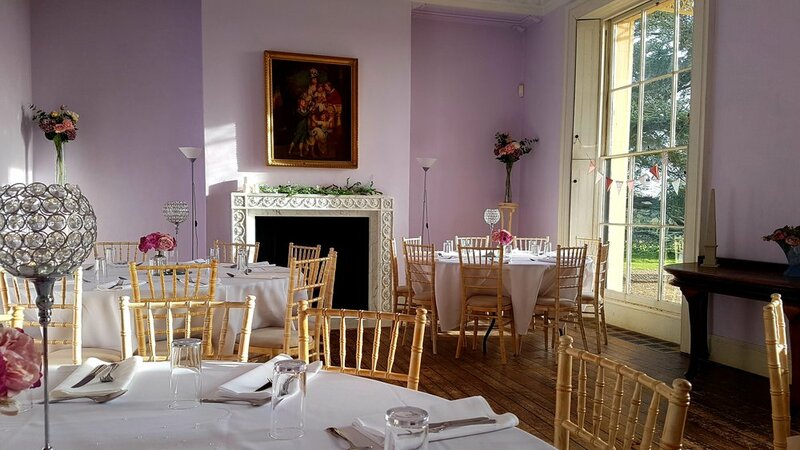 Moggerhanger Park is ideal for meetings, from small groups, seeking tranquillity and privacy for a meeting, to medium groups for conferences, functions and training seminars and we have additional rooms available for break-out activities. Our beautiful parkland, gardens and woods offer great space for team building or relaxing in the middle of the day. All our historic rooms benefit from natural light and peaceful countryside views. Each is equipped with the modern technology and Wi-Fi you need for business meetings and conferencing. This room was the grandest room of the House, and is our largest meeting room. It can be used for formal meetings in Boardroom style, or to accommodate between 40 to 80 in conference and seminar style. As its name suggests, it is also perfect for larger parties for dining and entertaining. These are the oldest rooms in the House, they are spilt into East and Central Drawing Rooms. They provide an excellent combination suite, which are separated by double doors, its configuration is ideal if you need extra space for break-out activities. Moggerhanger Park has a number of other rooms. Please contact us to discuss your requirements and find the right room for your needs. Conveniently located on the top floor of the Main House in the old Servants' Quarters and the adjacent Stable Block, Moggerhanger Park can currently offer up to 23 ensuite bedrooms. All are equipped with TV, wi-fi, hairdryer and tea and coffee making facilities. Breakfast the following morning is included in the room price and is served in the Old Kitchen on the ground floor. Check-in time is from 3pm on the day of arrival and check-out time is 11am on the day of departure.